I recently read a new-to-me novel titled Digging Up Bones by author Aimee Gilchrist. 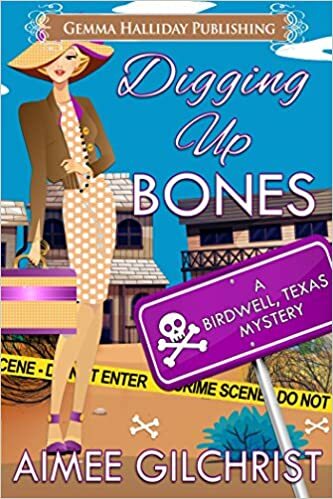 I loved this kooky, often humorous mystery set in West Texas. New Yorker Helen shows up in Birdwell to visit her Aunt Penny…,and from there I won’t spill any more beans. This was the first I had read of Gilchrist’s work, and the first from Gemma Halliday Publishing. They are now definitely on my “To Read More” list. Truly, I’m impressed with this book! I highly recommend it. This entry was posted in authors, reading, Reviews, Writers and tagged books, reading, reviews, writers. Bookmark the permalink.